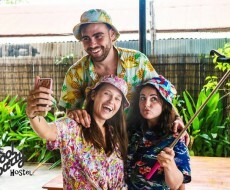 Western quality hostel in Siem Reap run by a Cambodian family, we offer dorms with comfortable beds, lockers, power plugs, individual reading lamps, AC and... a large swimming pool. 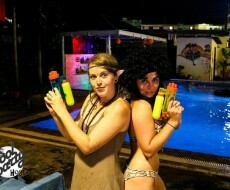 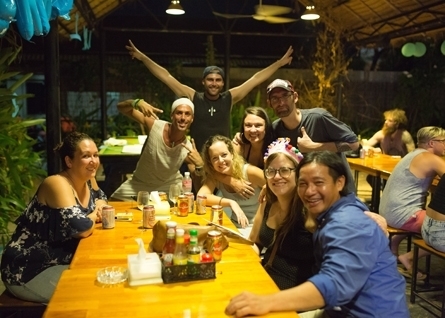 Our privates are either twin or doubles and are hotel quality at hostel price! 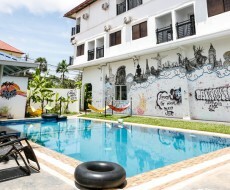 Chilled atmosphere, perfect for backpackers. 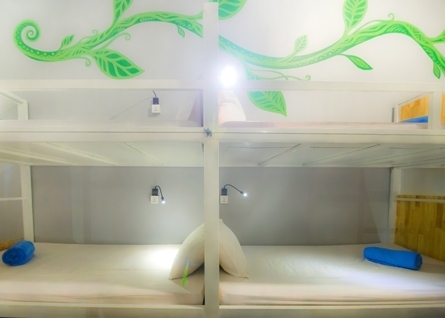 We have spacious private rooms and three comfortable dorm rooms. 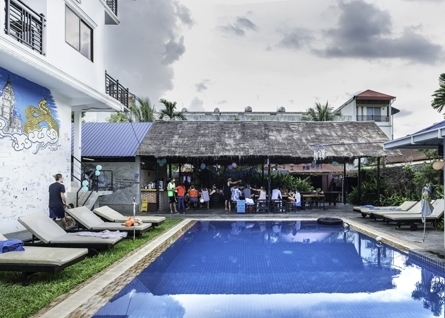 A generous swimming pool, a restaurant full of local and western delights, a swim-up bar, laundry service... you name it! 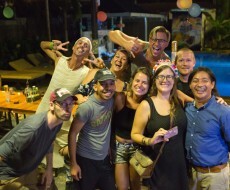 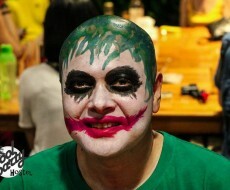 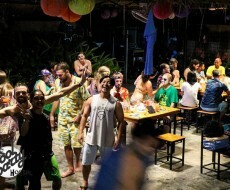 Great for young people, Pool Party Hostel is a chilled place where you will be received with a big smile.